New Years Eve is one of the biggest party nights of the year. With parties happening around the world, people are able to reflect on another year gone by while looking forward to 2011. However, for some party goers they will be looking at a lighter wallet come January 1st. 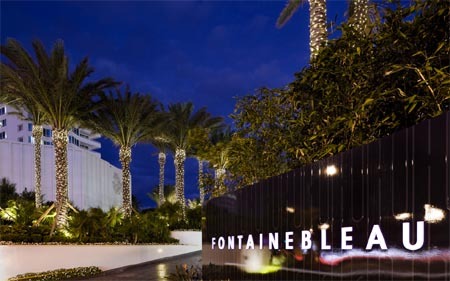 According to ClubZone.com, Miami Beach, FL will be home to some of the wildest, craziest and most expensive parties on New Years Eve. ClubZone sells tickets to some of the most extravagant parties around the United States and Canada including major cities such as New York, Chicago, Los Angeles and Vancouver. The company expects to make more than $750,000 on New Year’s Eve alone, which is about 1/6th of the company’s overall revenue for the year. If you are really looking to break the bank and go all out this New Years, then you should consider attending the most expensive party in North America which will be held at Miami’s Fountainbleu Hotel in Miami. A Magnum Stageside Table at this year’s event will run you a cool $25,000. The ticket will get you and 20 of your friends into the festivities and includes four Magnums of Belvedere Vodka and four Magnums of Dom Perignon. Entertainment will be provided by Tiesto. The party at the Fountainbleu Hotel is not the only big ticket in Miami this New Year’s Eve either. Also sporting a $25,000 price tag is the party at the W Hotel South Beach. With this ticket you are able to bring thirty of your friends to help you ring in the new year. If you are interested in learning about other events that Club Zone is sponsoring this New Year’s Eve, you can check out the company’s free iPhone app, which will give you all the information you need to book your reservations at the hottest parties in more than 29 cities across North America. As for me, I’ll be ringing in the New Year at the High Rooftop Bar at Hotel Erwin. Be safe and have fun everyone! I was looking for info on this party! I wrote it off as merely another post, but I’m glad I took a double take. Thanks.